Two lust-fuelled teenagers sneak across an old rail track and find a corner of an abandoned rail carriage to steal a moment of intimacy. Desperate for each other's touch they are quickly shirtless and lost in each others embrace. So lost they fail to notice the doom that edges near. 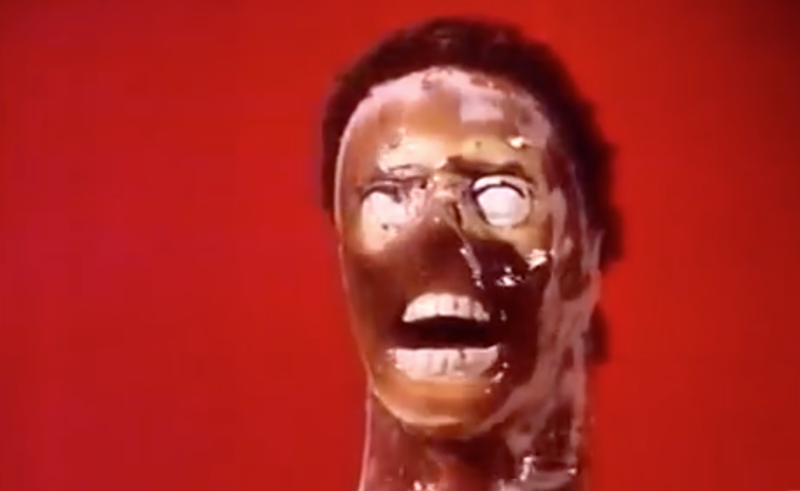 For like many young amorous couples we are introduced to in the opening reel of genre movies these two will inevitably become victims of… A LARGE MELTER RAY! A melter ray that strips their stop-motion flesh to the bloody bone and fries the entire rail road along with it. Okay Lightblast, you've got my attention. 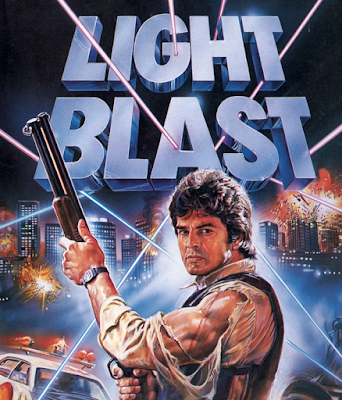 Ex-Chip Erik Estrada plays a tough cop on the trail of a mad scientist who is extorting money from the Government by threatening to melt people with his super-ray gun. So, y'know, best concept ever. 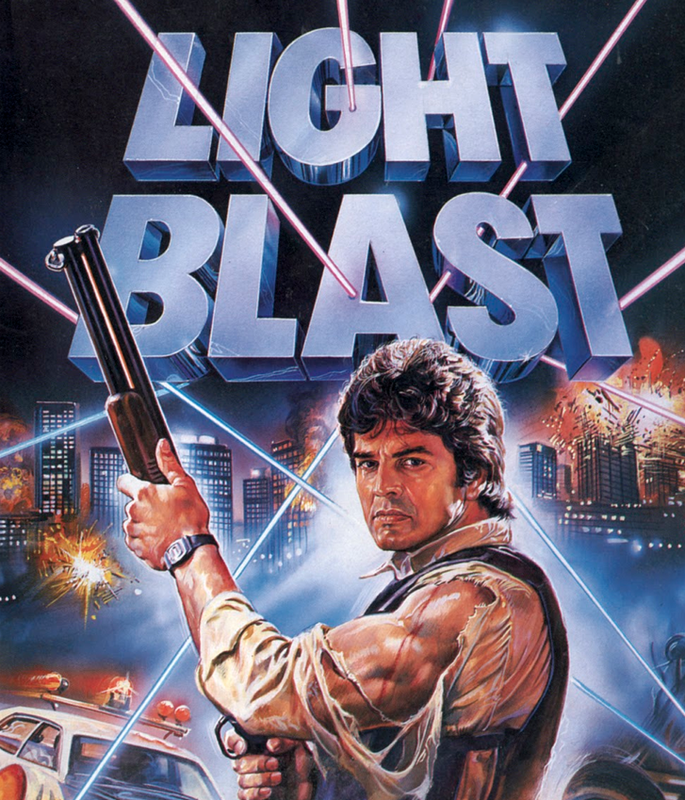 Where Lightblast fails, however, is by neglecting to run that vein of science fiction throughout the movie. With the exception of that opening there is another melty scene early on and one short one at the end. Sans mini-melters or half-melted minions the movie slips into a familiar 80's action movie fairly early and stays that way for some time. That's not to say there is no fun to be had twixt meltings. Estrada's entrance into the movie sees him foiling a hostage situation with nothing but a gun hidden in a joint of meat and a pair of speedos. 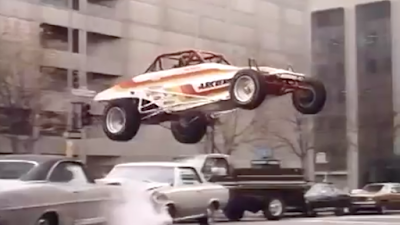 Aside from that Castellari ensures there are plenty of car chases and shoot-outs and uses messy squibs, slow-motion and some impressive stunts to make sure each action scene pops. The climactic sequence sees Estrada commandeering an awesome looking off-road buggy and giving chase in an excitingly staged vehicular showdown. It's a shame they didn't find a way to get a little more sci-fi into it though as the end result is a film that isn't quite as bonkers as it deserves to be. Every aspect is handled with the right amount of silliness and competence to be a fun ride but with the heavier B-movie conventions only book-ending the movie it won't stick in the mind as an all-timer. It is, at times, a blast but like its title says; only a light one.